The web browser will be based on Firefox and closely integrated with AOL's user driven news portal. AOL has taken up the development of its Netscape 9.0 web browser again, it said on a blog posting yesterday. 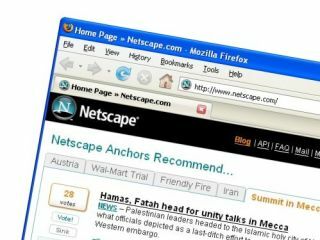 The forthcoming version of Netscape will yet again be based on Mozilla 's Firefox 2.0 web browser, and will include a number of functions tweaked for AOL's products and services. For example, the web browser will be closely integrated with AOL's user driven news portal. A big difference between Netscape versions 8.0 and 9.0 is that AOL has created its own development team to develop Netscape 9.0. Version 8.0 was developed by Mercurial Communications , on behalf of AOL. It's been pretty quiet around Netscape since AOL released Netscape 8.0 about a year ago. But the announcement yesterday indicates that a new version should be out in the next few months. The development of Netscape 9.0 can be tracked on AOL's Netscape blog .